Spending the night on the water at a Marina in Amsterdam, close to the vibrant city center. Doesn't that sound like the perfect destination for your next holiday? 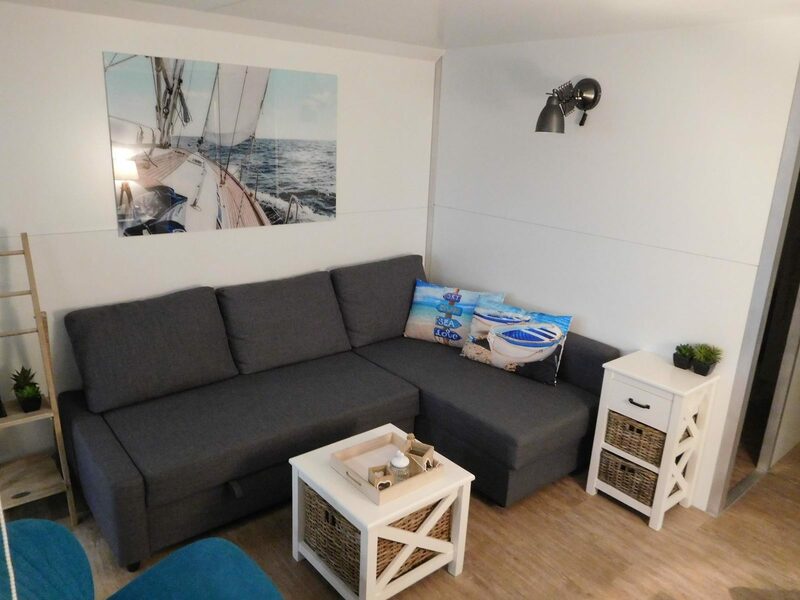 Discover the harbor lodges at Marina Parcs. 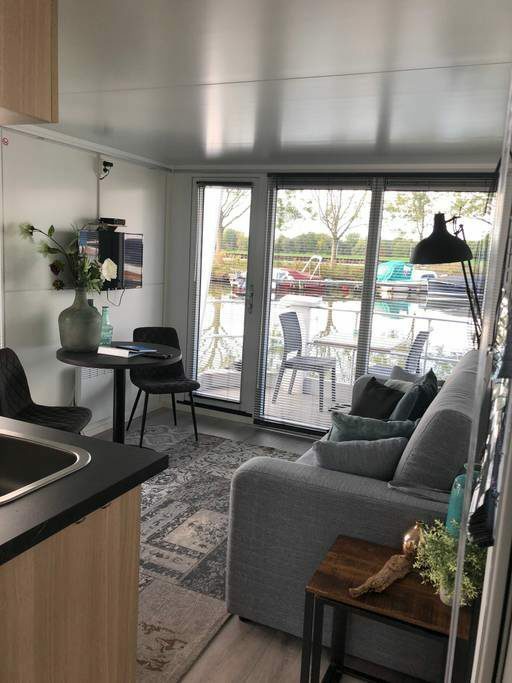 Marina Parcs has a 4-person harbor lodge at Tineke Bakker Marina, and a 6-person harbor lodge at E-harbour Marina Amsterdam Amstel. Here, you will experience a wonderfully peaceful stay on the water, but you won't be too far away from all of the activities you can experience in our capital. From the E-harbour, you can walk to the metro stop, from which lines 51, 53, and 54 will take you to the city center. From Tineke Bakker Marina, you can take tram lines 14 or 26 to reach the vibrant city center. Marina Parcs offers unique overnight stays in this small cozy marina in Amsterdam. Enjoy the large ships that sail along the Amsterdam-Rhine Canal. The perfect starting point for a visit to the city center of Amsterdam. 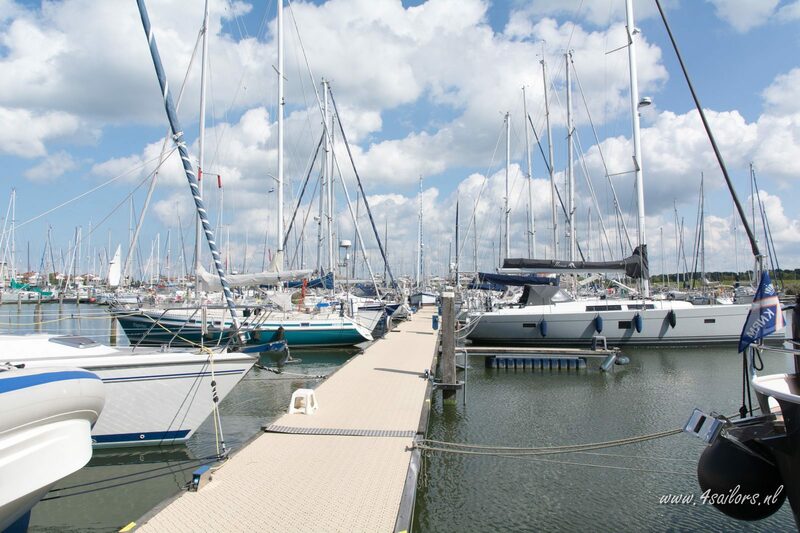 The marina itself has no other facilities. 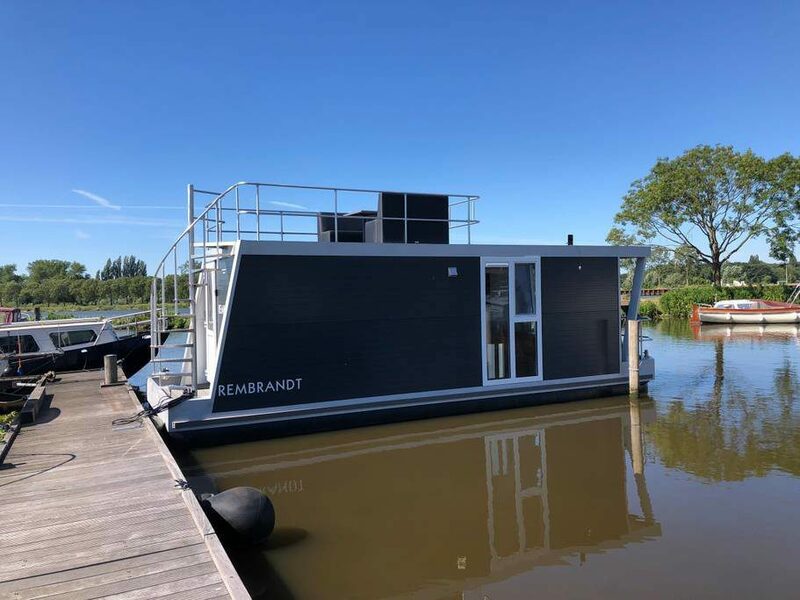 However, opposite the marina is Camping Zeeburg Amsterdam, where you can do various activities. You can park on the street in front of the marina for about €8.00 per day. 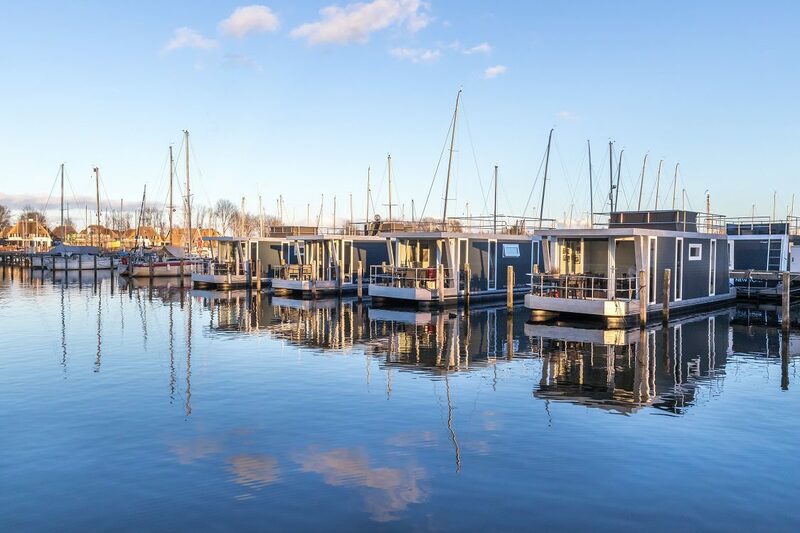 At this Amsterdam Marina, Marina Parcs offers a 6-person harbor lodge for an overnight stay on the water. During your stay, you can enjoy the feeling of bobbing, and the lapping water. 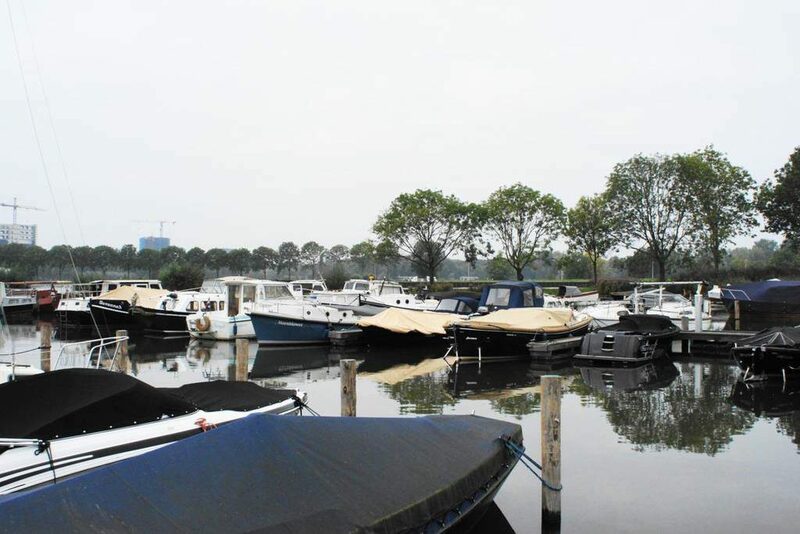 The E-Harbour Marina Amsterdam Amstel is a future-proof marina with 65 berths, where electric vessels can make use of the excellent facilities. From the E-Harbour Marina Amsterdam Amstel you can, as the name suggests, sail down the Amster river. 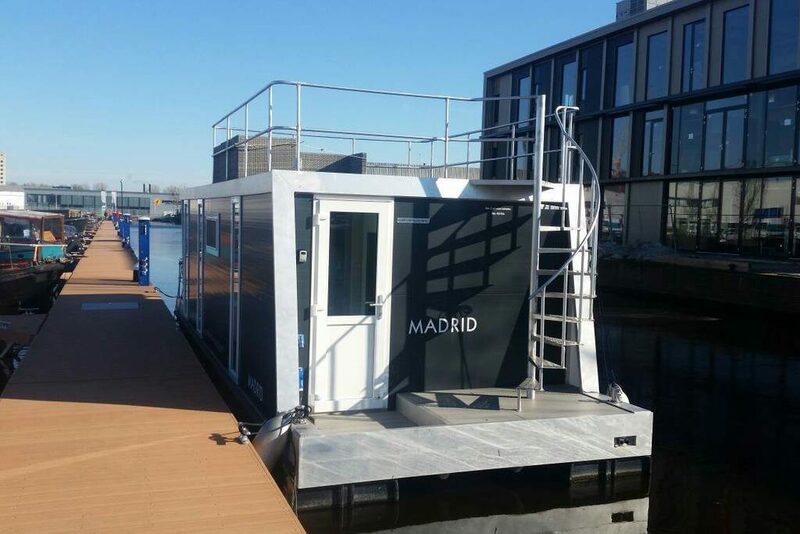 Harbor lodge 'Madrid' at E-Harbour Marina Amsterdam Amstel, offers room for 6 people. This harbor lodge has a pragmatically laid out kitchen, with a 2-burner stove, refrigerator, and Dolce Gusto coffee maker. In the summer, you can enjoy the nature all around you from the harbor lodge's rooftop terrace. The heating ensures that you will also have a pleasant stay during winter. You will have a good night's rest on the comfortable beds. This marina has no facilities for you to use, that way you can fully enjoy the (view of the) water. Amsterdam also has plenty to offer for a fun day out!